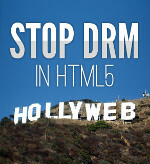 Read more about Oscar awarded to W3C for Best Supporting Role in "The Hollyweb"
The fight to keep DRM out of HTML is heating up. This Friday, Defective by Design will pay a visit to the Cambridge, MA, office of the World Wide Web Consortium (W3C) to hand-deliver our petition against the Encrypted Media Extensions proposal (EME). Today Defective by Design, through the Free Software Foundation, joined twenty-six other organizations in releasing a joint letter to the World Wide Web Consortium (W3C), the Web's standards-setting body, condemning Encrypted Media Extensions (EME). Hollywood is at it again. 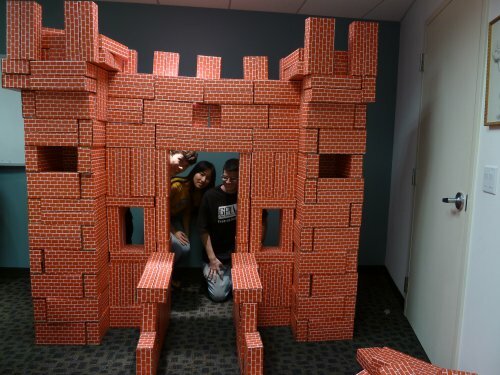 Its latest ploy to take over the Web? Use its influence at the World Wide Web Consortium (W3C) to weave Digital Restrictions Management (DRM) into HTML5 — in other words, into the very fabric of the Web. Millions of Internet users came together to defeat SOPA/PIPA, but now Big Media moguls are going through non-governmental channels to try to sneak digital restrictions into every interaction we have online. Soon after announcing the big expansion and complete overhaul of our Guide to DRM-free Living, we also announced the DRM-free label, an effort to create recognizable branding for providers of DRM-free files to quickly communicate to users that they don't have to worry about being encumbered by restrictive technologies such as Digital Restrictions Management. Holiday season is upon us, which means a bombardment of advertising for the latest and greatest tech toys, and the onslaught of enticing deals is extremely effective. On Cyber Monday, hordes of virtual shoppers took to the Web in search of the newest gadgets to bestow upon their loved ones. We've announced a new version of the DRM-free logo! The success of DRM-free bundles has been a powerful counterargument to the claim that Digital Restrictions Management is necessary for sustainable digital publishing. These bundles are forming around music and literature, and really showcase being DRM-free as a major selling point. Now, the Big Bang Bundle by StoryBundle has just launched, and the Humble Music Bundle has just a couple hours to go! Read more about DRM-free ebooks and music in pay-what-you-want bundles! The largest science fiction publisher in the world, Tom Doherty Associates (whose labels include Tor, Forge, Orb, and Starscape books) announced on Tuesday, April 24th, that "by early July 2012, their entire list of e-books will be available DRM-free." On May 4th, members of the Defective by Design DRM Elimination Crew all over the world will join together at local events to protest Digital Restrictions Management. Events in Boston, Madrid, London and Toronto are already coming together, and more are on the way. See http://dayagainstdrm.org/ for the latest events. Let us know where you are located, so we can contact you about events in your area!